Vegan Society | Sara.es on the GO! There is no need to be strict on it, but what we would all turn our diets into a plant-based diet? What about being conscious about it and trying to “veganize” our diet once a week? In Belgium you can already find great initiatives like “veggie donderdag”. It means that in every restaurant on Thursday there is at least one vegetarian option, isn’t it cool? I think so… Many families try to follow it also at home :) Congrats! 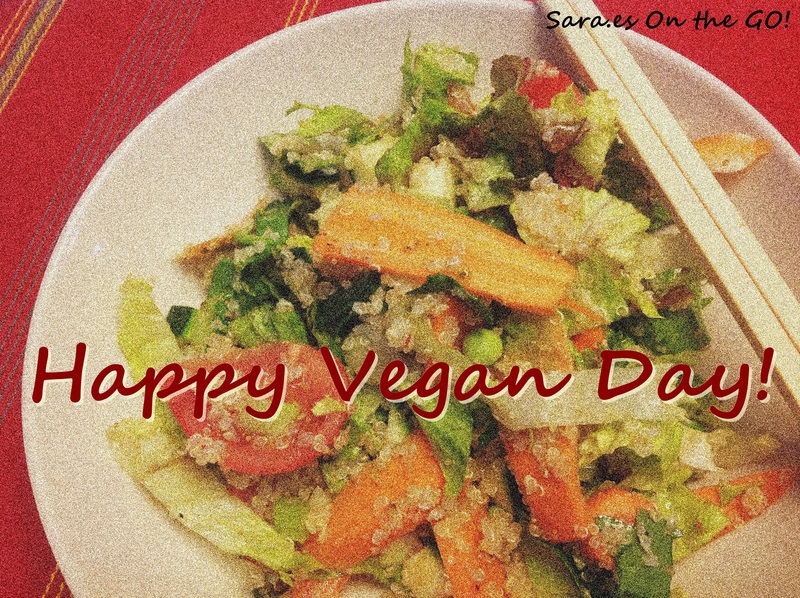 Big hug and have a great vegan day!